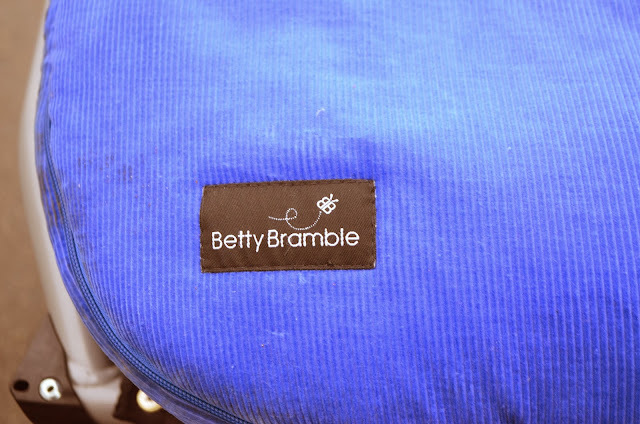 I love discovering new and unique British brands and Betty Bramble is certainly one of those. They are a new company that make luxurious and beautiful footmuffs for pushchairs. 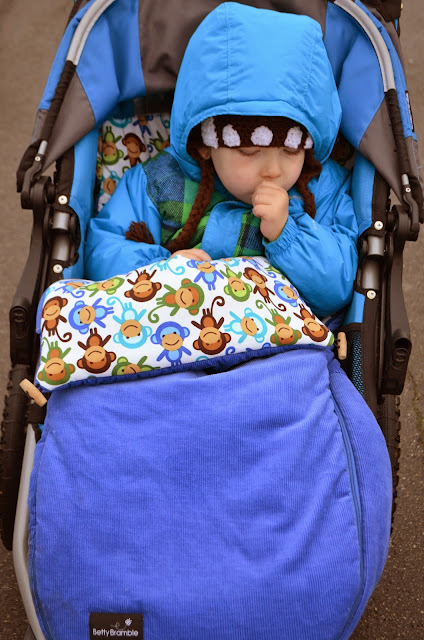 They have a variety of retro, vintage and classic fabrics and their footmuffs are longer than most, coming in at 110cm and much thicker and warmer than any I have come across previously. They are almost like a duvet in their thickness and I would love to be able to climb into one myself! The footmuffs are washable in a machine (vital if your littlies are anything like mine! ), versatile as they can be used as a padded liner if it isn't quite cold enough for the apron and hardwearing, as we have found out by testing it with both the boys. There are toggles either side which means the footmuff can be folded over a bumper bar, and I love this look. 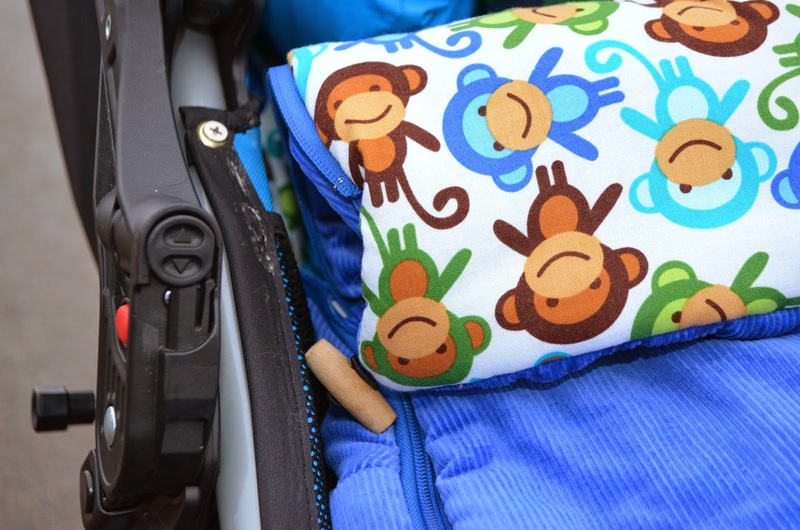 It also keeps the muff out of the way when it is not cold enough to keep it fully zipped up. The footmuffs fit most buggies with holes for a 5 point harness, but I do have a couple of pushchairs where the waist and shoulder strap is all one and these can't be used with the Betty Brambles footmuff. I also found that the hole for the crotch strap was quite small so I did have to carefully make it a bit larger to use with one of our buggies. This didn't affect the footmuff and really you can't even tell so it didn't bother me too much. 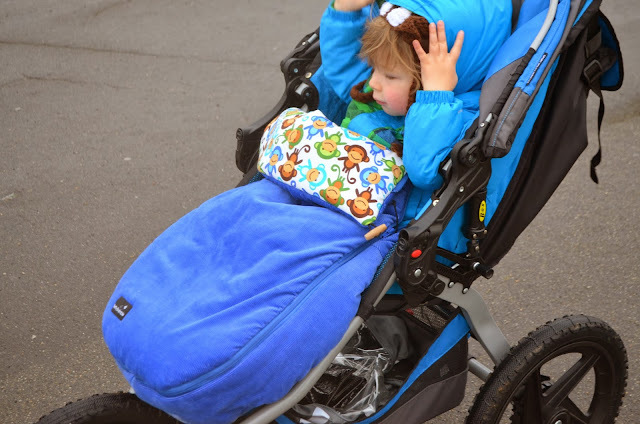 As the footmuff is so long, I have found that it is a better fit in a pushchair rather than a stroller as it doesn't touch the wheels that way, however we have been using it in both and as long as I can get Dylan to keep his feet on the footrest, it doesn't cause an issue. The footmuffs retail at £64.99 which I believe is a really good price for these as they are incredibly padded and you can tell that they are high quality straight away. 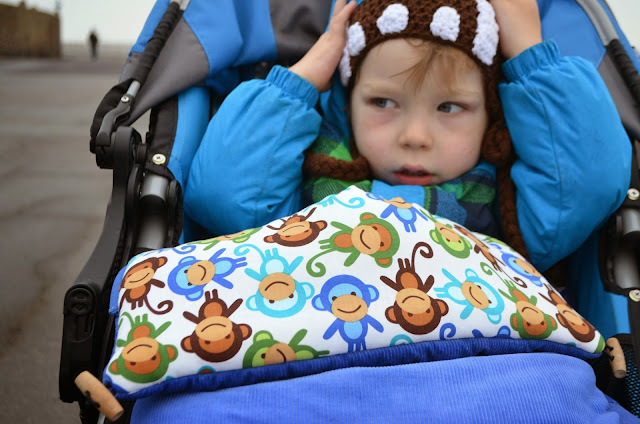 You certainly won't see anyone with one the same and they will brighten up any buggy. There are a large variety of choices from a classic flowery pink, to beautiful blues, a London black and every colour in between so there is something to suit everyone. I would (and have been) recommending these to anyone with a taller toddler like Dylan as they are very spacious. For the coldest winter weather, this has to be the warmest and snuggliest cosy toes that we have come across. Sorry just spotted this post, just commented on your other blog. Can you get the straps from the bob through this foot muff or is it just resting on top of them? I'm looking for one that I can pull the straps through so the baby is secure a d warm when I'm running.